Once upon a time, we gave you some ideas on how to personalize your Vegas pub crawl with a theme. It’s a fun way to get your friends even more into the spirit of a night out together in Downtown Las Vegas. You can even decorate your pub cycle to coordinate with the theme. There’s nothing more Las Vegas than the mob. Gather some cigars, trench coats, and hats, and you’re almost done! Start the adventure with a trip to the Mob Museum in Downtown Las Vegas to get some inspiration. After you’ve all gathered some background information on the theme, hop on your pub cycle and spend the night talking with Prohibition-era accents and ordering the strongest classic cocktails you can find. This theme will make drinking in Vegas that much more fun. Okay, it probably couldn’t be a less expected suggestion following a mob theme, but hear us out. Unicorns are just fun. And they’re pretty much whatever you want them to be since they (probably) don’t actually exist. 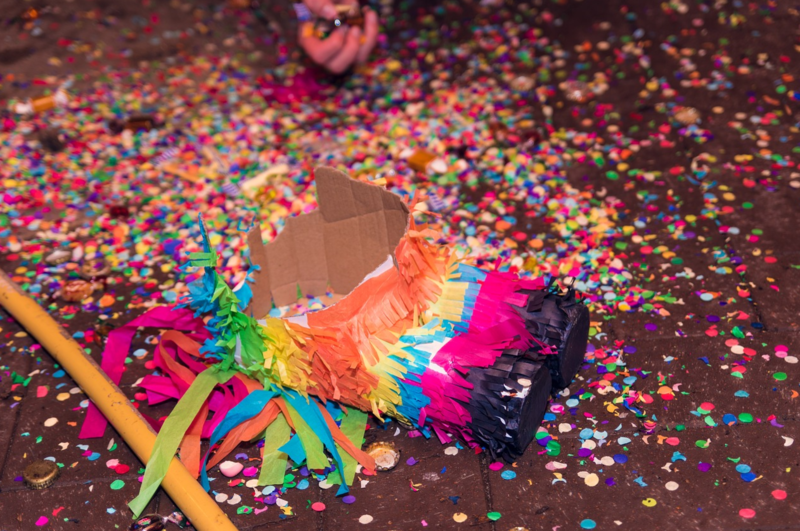 Cover everything in pastel confetti and streamers to get started. Make some unicorn masks and snacks for everyone on the crawl and commit to ordering only pastel-colored drinks no matter how sickeningly sweet they are! Last but not least, we bring you the most classic of all party themes: pirates. Start growing out your scraggliest beards and invest in a bulk order of eye patches (especially handy if your vision starts to double toward the end of the crawl). If you have a really crafty leader, encourage them to make a treasure map including all the stops you plan to make! One rule: rum only, matey. Pick a Theme and Make It a Party! Get your friends dressed up as crazy as possible and book your Vegas pub crawl today! At Vegas Pub Crawler, we love hosting extra special parties, so use one of these themes, or impress us with one of your own. We’ll drive you around Downtown Las Vegas while you do all the drinking in Vegas that you can.